Two women were hurt when they were hit by a man driving a stolen car in The Bronx on Aug. 5, 2012. THE BRONX — A man fleeing police in a stolen car smashed into another vehicle in Eastchester Sunday morning, leaving two women injured, including one critically, police sources said. The chaos began in Pelham Manor, just over the Bronx border, around 6 a.m. It's not clear what sparked the pursuit, but the officers followed the Dodge Durango to Boston Road and Marolla Place. There, he crashed into a Saturn with two women inside. 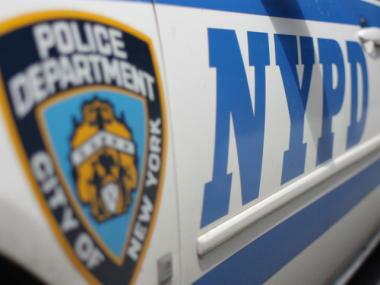 One, a 62-year-old woman from The Bronx, was left in critical condition. The other, a 53-year-old woman, also from The Bronx, was in stable condition at Jacobi. Charges were pending against the driver.